Visual Studio Code>Themes>Diacronia ThemeNew to Visual Studio Code? Get it now. 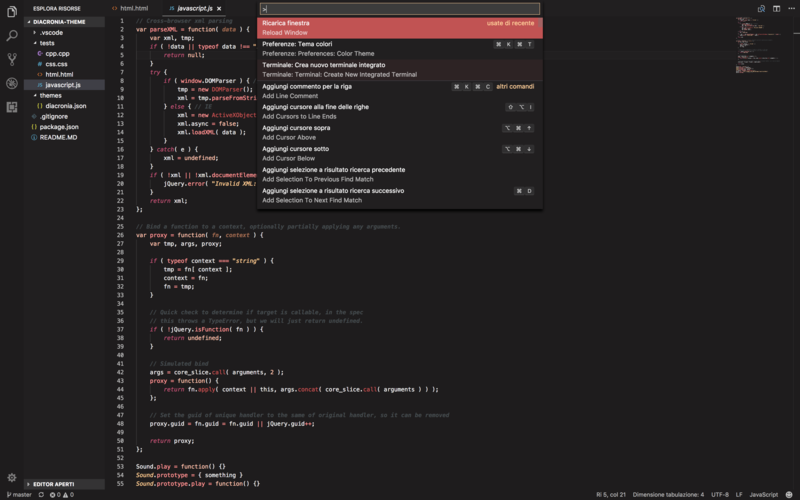 A dark red coloured syntax theme created for fun and shared with the community. Install it from the extensions tab in visual studio code or from the visual studio code marketplace. You can also clone the git repo in your ".vscode/extensions" folder. For any suggesion, issue or other kind of contribution you can use the official git repo hosted on GitHub.